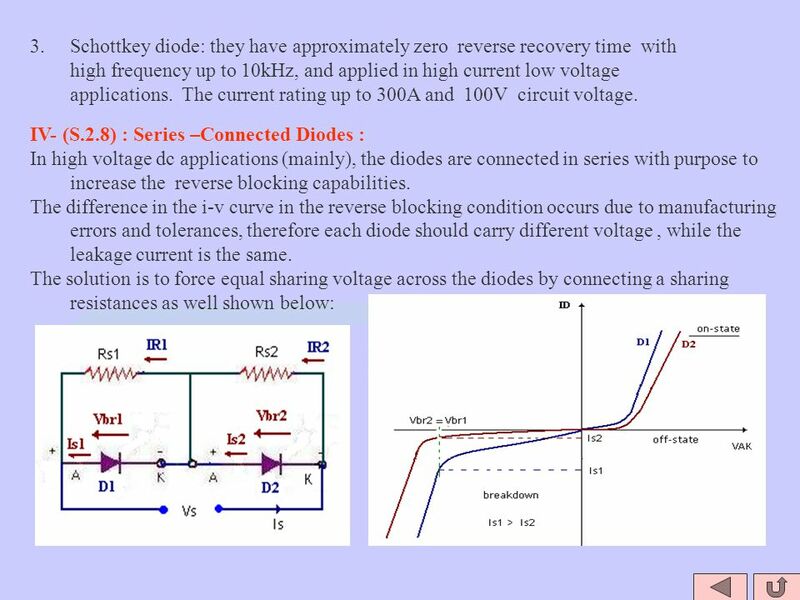 3 II- (S.2.4) : Reverse Recovery Characteristics: When the current falls to zero, the diode continues to conduct under the action of minority carriers that remain stored in the pn- junction and Bulk resistance. These carriers require a certain time to recombine with opposite charges and to be neutralized. This time is called the reverse recovery time trr. The figure shown below displayed the current falling process and the diode reverse parameters. 1- The reverse recovery time trr consist of two parameters ta, and tb: trr =ta+tb ; Irr=ta.di/dt ta- due to storage charge in the depletion region tb- due to storage charge in the bulk resistance. The softness factor Sf=tb/ta. 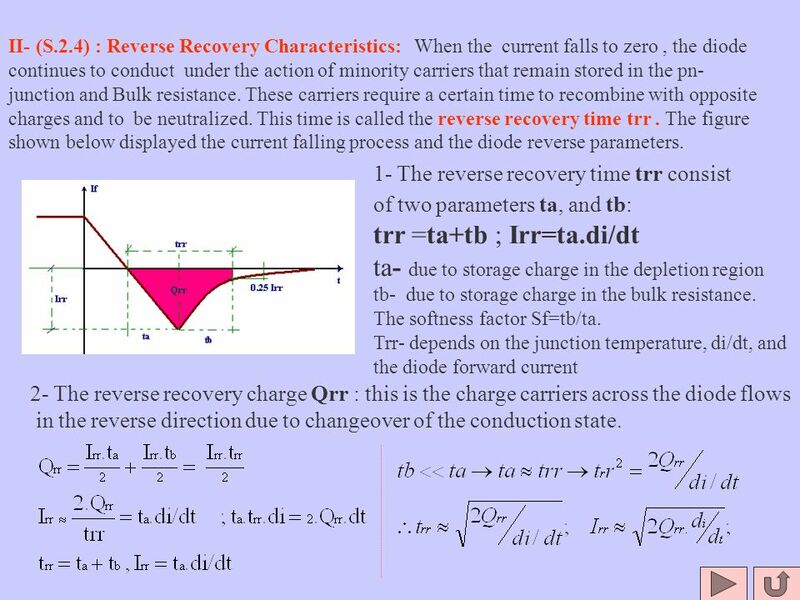 Trr- depends on the junction temperature, di/dt, and the diode forward current 2- The reverse recovery charge Qrr : this is the charge carriers across the diode flows in the reverse direction due to changeover of the conduction state. 4 Example 2.1: Given a diode circuit (p.2.1) with reverse recovery time trr=5 µS, and the rate of fall of the diode current is di/dt= 80A/ µS with softness factor Sf=0.5. 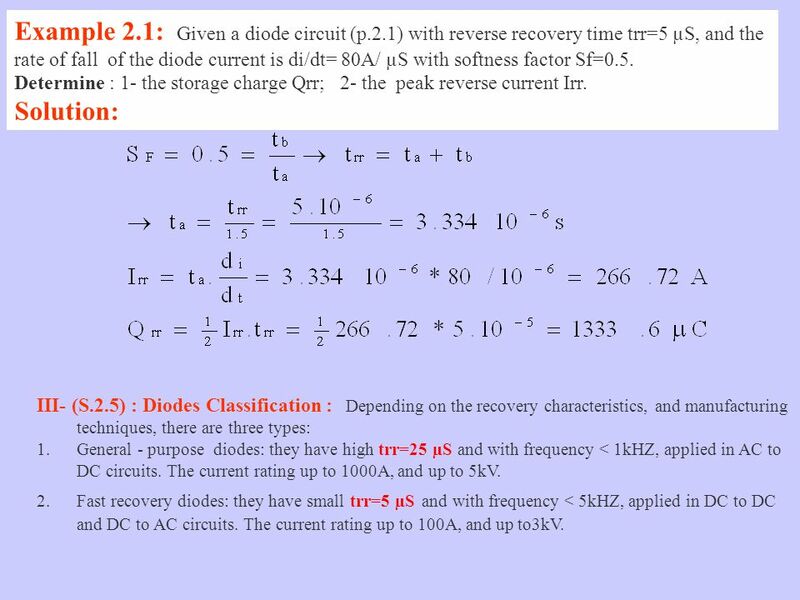 Determine : 1- the storage charge Qrr; 2- the peak reverse current Irr. 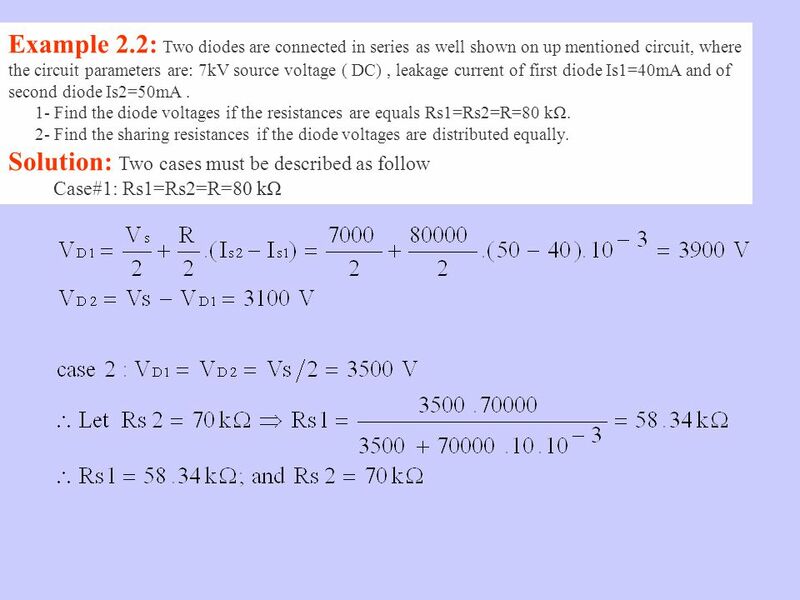 Solution: III- (S.2.5) : Diodes Classification : Depending on the recovery characteristics, and manufacturing techniques, there are three types: 1.General - purpose diodes: they have high trr=25 µS and with frequency < 1kHZ, applied in AC to DC circuits. The current rating up to 1000A, and up to 5kV. 2.Fast recovery diodes: they have small trr=5 µS and with frequency < 5kHZ, applied in DC to DC and DC to AC circuits. The current rating up to 100A, and up to3kV. 6 THERE ARE TWO APPROACHES: 1. Equal sharing resistances connected across the diodes 2. 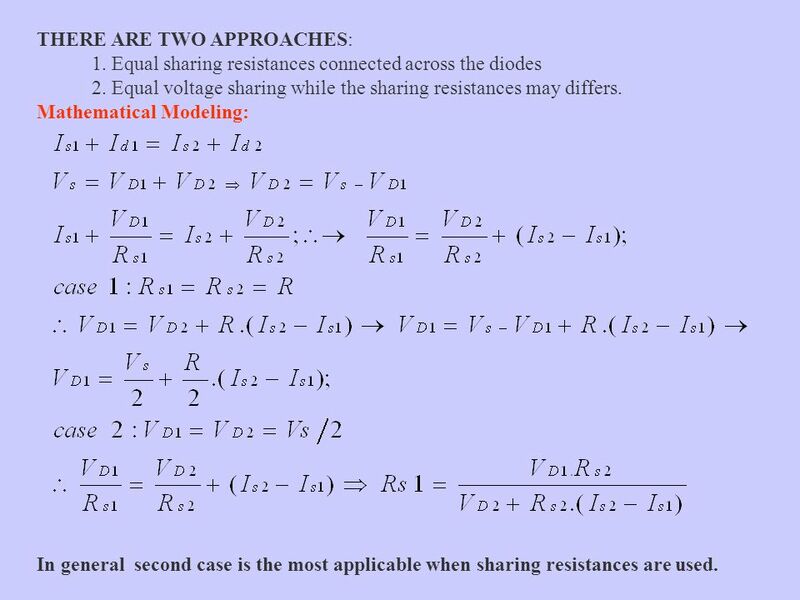 Equal voltage sharing while the sharing resistances may differs. Mathematical Modeling: In general second case is the most applicable when sharing resistances are used. 8 V- (S.2.9) : Parallel –Connected Diodes : In high power applications, diodes are connected in parallel with purpose to increase the current carrying capability. 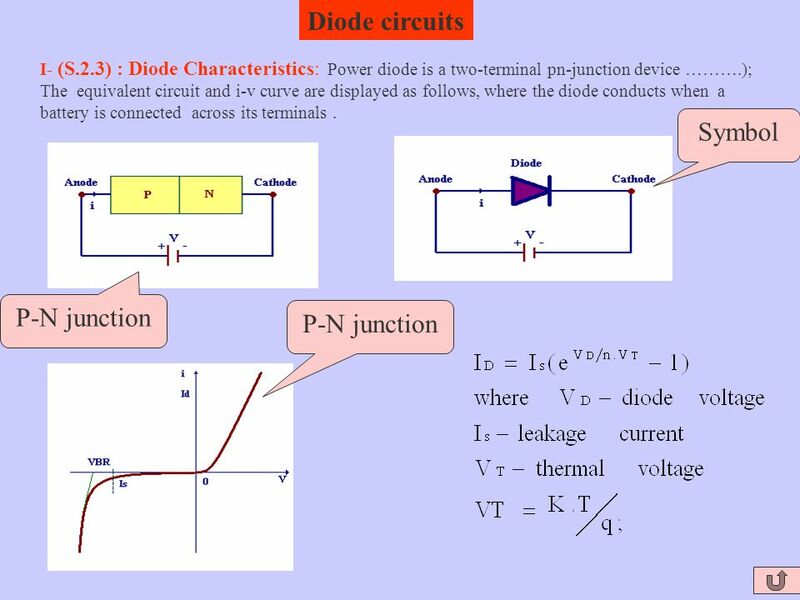 Due to some differences in the Bulk resistances of both diodes, there is a different current will flow through the diodes. 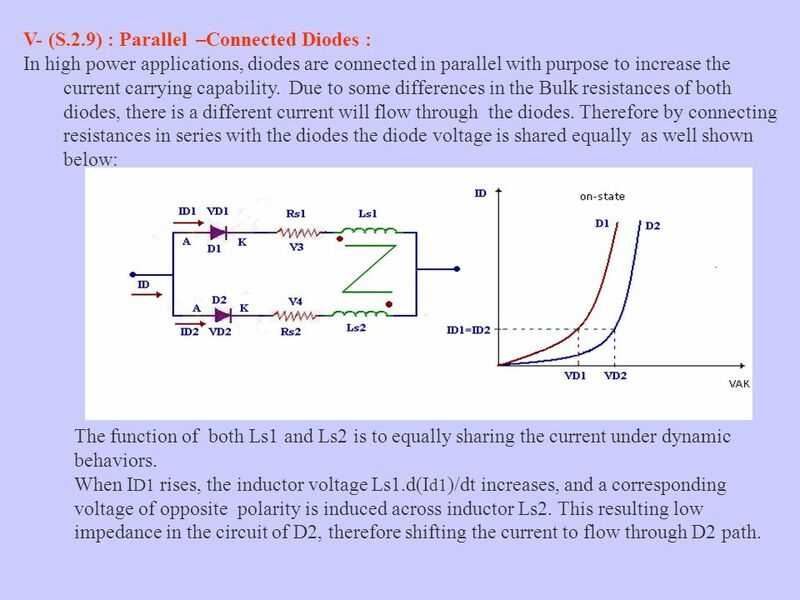 Therefore by connecting resistances in series with the diodes the diode voltage is shared equally as well shown below: The function of both Ls1 and Ls2 is to equally sharing the current under dynamic behaviors. When I D1 rises, the inductor voltage Ls1.d(I d1 )/dt increases, and a corresponding voltage of opposite polarity is induced across inductor Ls2. This resulting low impedance in the circuit of D2, therefore shifting the current to flow through D2 path. 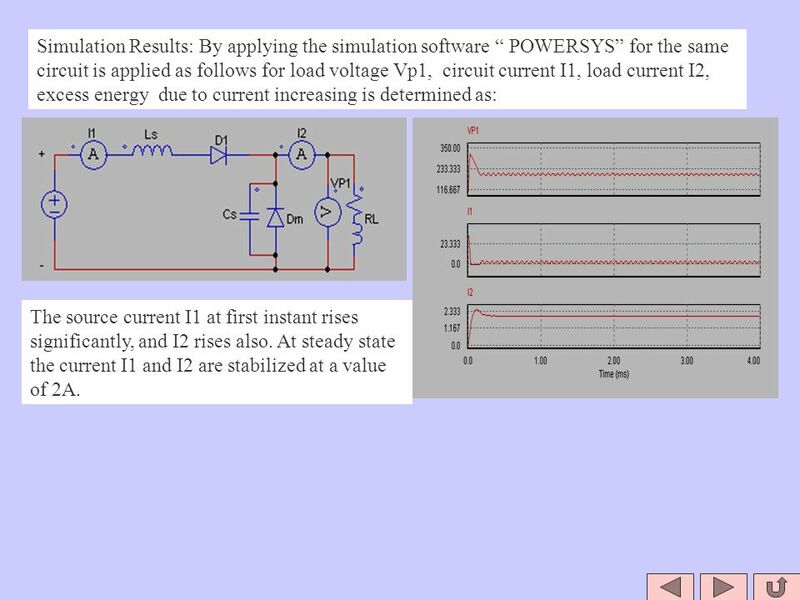 13 Simulation Results: By applying the simulation software “ POWERSYS” for the same circuit is applied as follows for load voltage Vp1, circuit current I1, load current I2, excess energy due to current increasing is determined as: The source current I1 at first instant rises significantly, and I2 rises also. 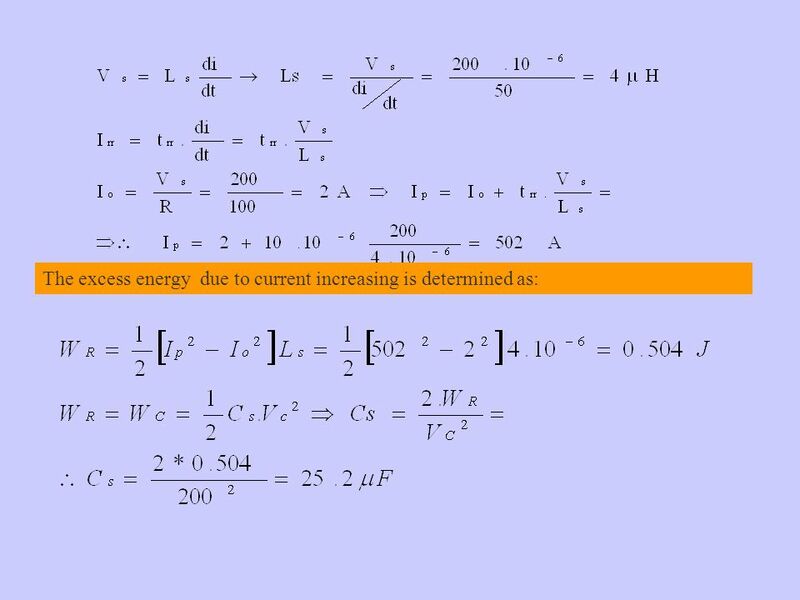 At steady state the current I1 and I2 are stabilized at a value of 2A. 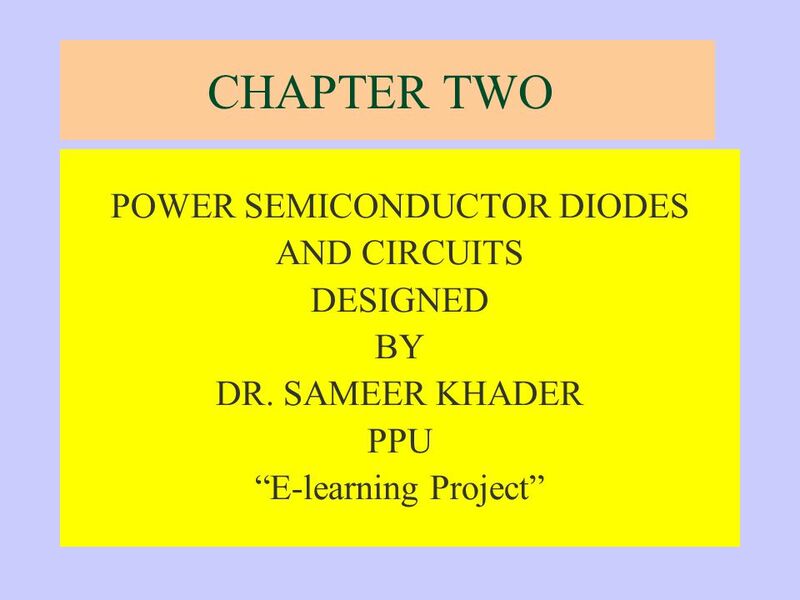 Download ppt "CHAPTER TWO POWER SEMICONDUCTOR DIODES AND CIRCUITS DESIGNED BY DR. SAMEER KHADER PPU “E-learning Project”"
Thyristor Shawn Standfast. About Thyristors Thyristors can take many forms but they all have certain aspects in common Act as Solid-State Switches Become. 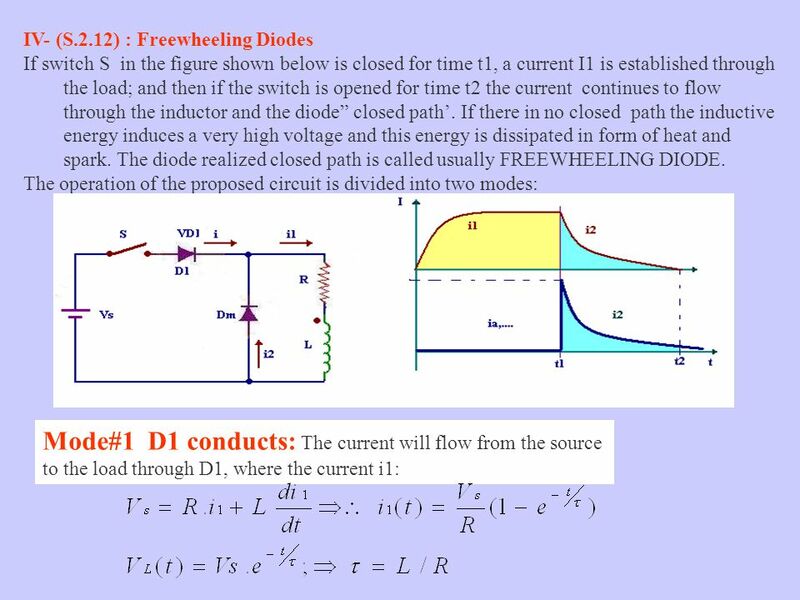 © Electronics ECE 1231 Recall-Lecture 3 Current generated due to two main factors Drift – movement of carriers due to the existence of electric field Diffusion. 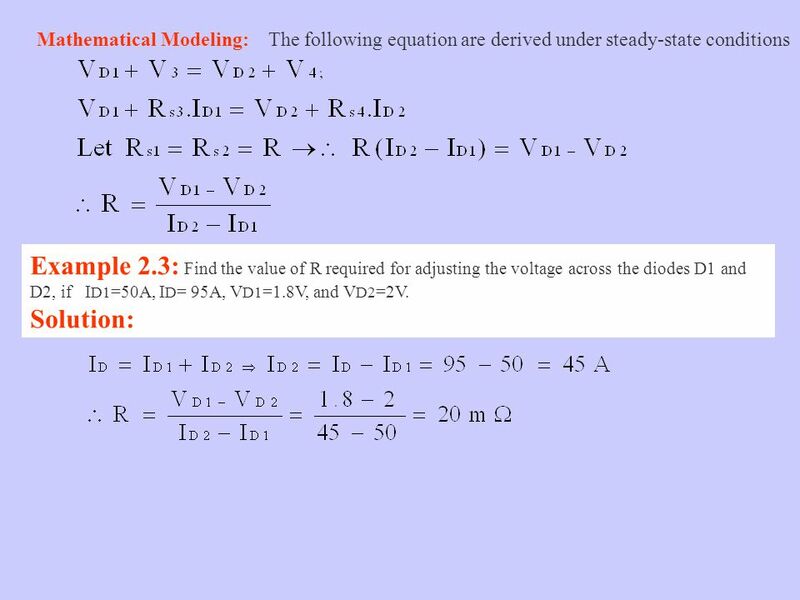 Diode with an RLC Load v L (t) v C (t) V Co. Close the switch at t = 0 V Co.
Diode with an RLC Load vL(t) vC(t) VCo. 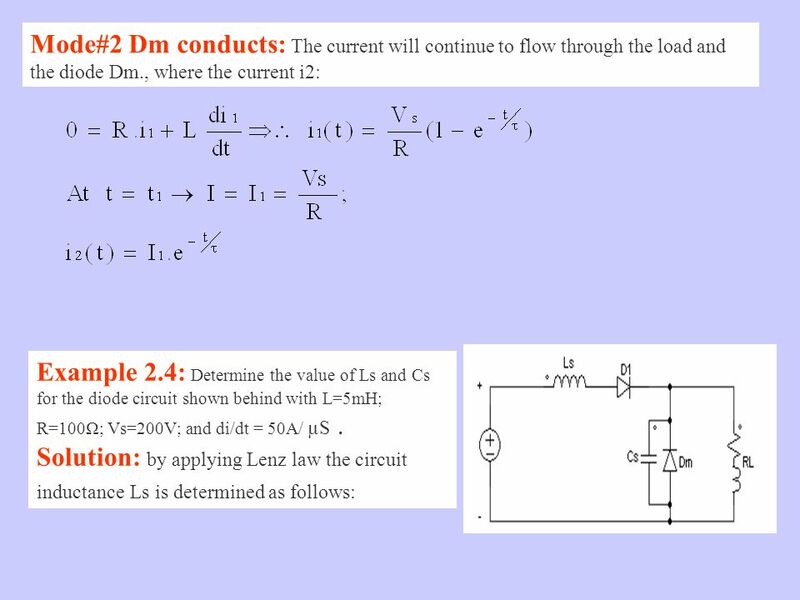 1 ELE1110D Basic Circuit Theory Tutorial 6 Diode Circuits By Xu Ceng SHB 832. 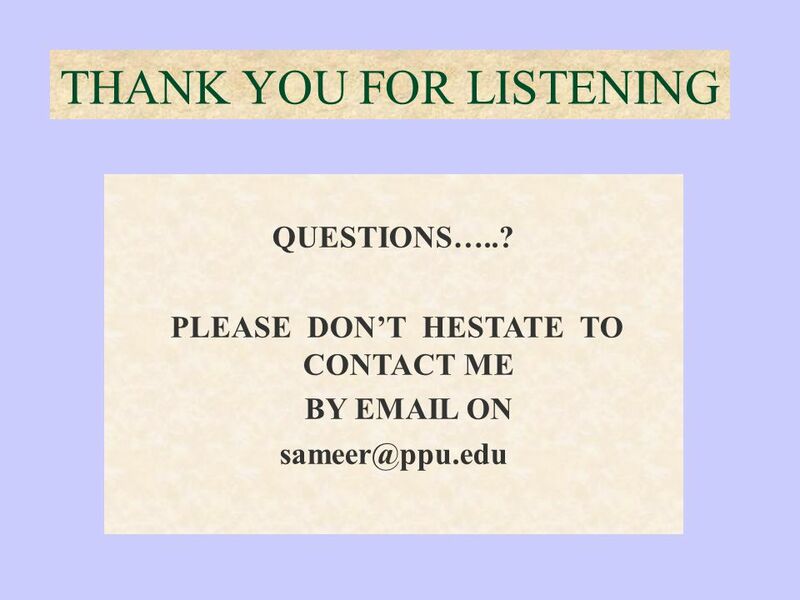 Direct-Off-Line Single-Ended Forward Converters and The Right-Half-Plane Zero Presented by: Geetpal Kaur EE136 Student 12/06/2003. Dr. Nasim Zafar Electronics 1 EEE 231 – BS Electrical Engineering Fall Semester – 2012 COMSATS Institute of Information Technology Virtual campus Islamabad.